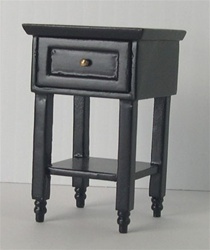 This a very versatile end table which matches the Ashley Coffee Tables. Shown here in a Ebony finish. It has one working drawer with a matching wooden knob and a open shelf perfect for a plant, books, or a collectible. 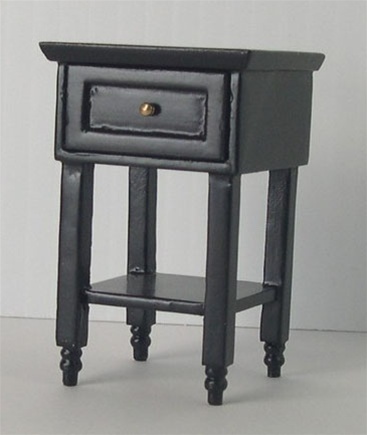 Because of its compact, small size, this piece is perfect for even the smallest rooms. Measures: 2-5/16" high, 1-9/16" width, 1-3/8" depth, 7/8" clearance on shelf.